Anyone can pretty much make music, but making it in the music industry takes more than just a pretty face with vocal chords. Great music lies in the in the tiniest of details, and key amongst those details is the instruments. You need to pick instruments that not only complement your genre and style, but also those that blend well with your musical persona. Amongst the generic clutter of music instruments, very few get to stand out, and even fewer get the recognition and respect they deserve. One of these instruments is the Morley Power Wah Pedal. 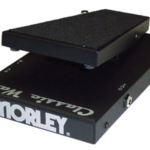 If you’re a music enthusiast or an artiste, the Morley Wah needs no introduction. 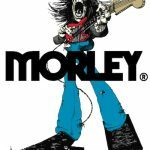 Morley is known for their attention to detail in all their products. They are also one of the world’s most sought-after brands, especially by top instrumentalists. 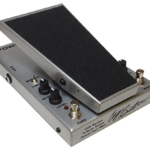 To set up the Morey Power Wah (MPW) is pretty easy; it’s a simple plug and play. You’ll then press the on/off button on the side. Then just use your foot if you wish to change the effect (the switch) or to fluctuate the volume and tone (the pedal). The sound quality is exemplary and the overall volume can go from zero without audible noise in the amplifier. If you are yet to upgrade to the MPW, you need to. In all honesty, there are still a few of things that can still be improved on, but by market standards, the MPW is not only ahead of competition, it’s also ahead of time. For those of you who might have an all true bypass board pedal and you are thinking the MPW might actually be better, you’re right, and it’s not just a marketing gimmick as a skeptical person might think. The MPW won’t alter the clean tone like most products do, especially when they’re turned off. Also many other products will need a pot replacement after 18 months, but because of the Electro-Optical circuitry, you are assured the MPW pots will last, whether you’re a heavy user or not. Another great feature is, unlike most wahs, you don’t have to push down on the pedal in order to turn it on as it has its own power switch. The MPW, unlike the Tremonti, does not have a spring on the pedal; this comes as an added advantage if you like to have more control on the pedal, especially for rock ‘n’ rollers. 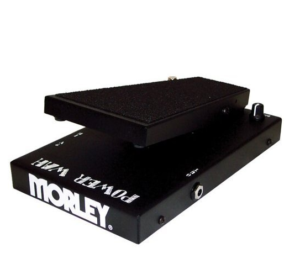 The Morley Power Wah is an extraordinarily and meticulously crafted modern kit that offers both quality and versatility. Any guitarist that admires quality in their work and is on the look for a nifty, top notch switchless wah should definitely try it. Both artistes who have used the MPW and music enthusiast who’ve heard it in action have given positive reviews. The only areas where the MPW should try and improve on is the absence of sound amplitude—it’s either all or nothing with the current MPW. A knob to solve the volume issue would come in handy. Another area would be the battery compartment; based on a Morley Power Wah review, many would want to plug the sector given the consumption rate. Getting a wah that matches and complements your skills is not really easy to find. But the MPW solves that problem and for a reasonable price as well. Now you have no excuse other than to wow the crowd.